We offer our best and most popular group of package specials to give you full service on the tuning of ammunition to your rifle and now doing it YOURSELF! Our Packages can be the best way to get the job done for you and your favorite rifle. If you have any questions please call us. Please remember that our process may be slow, but we focus on accuracy first. Also remember some components are much harder to get these days! Our service may be slowed due to the inability to get required components for your rifle (s). There is a special "FACTORY AMMO" package and a whole new time frame program. You can now choose which time frame you want. Look it over and we believe that you will be pleased. We offer the same great service and results as always. Shipping is not included. To find out more about the tuning packages where we do all the special testing please click here. "PACKAGES"
In brief our different packages are designed to provide different services that can offer a savings with the combined services. All packages have the same time frame based on when the rifle is received at our shop. Ckeck them out too! NEW! 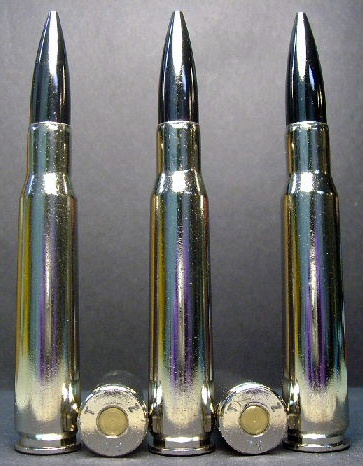 In 2014-15 we are offering DO IT YOURSELF "SAMPLE" ammunition packs for the big 50 BMG rifles. The "SAMPLE" packs are made so you, the individual shooter, will fire the test rounds made specifically for your rifle on the range and you will determine which group performs the best for you in your individual rifle. You can then order that specific ammunition using the code assigned to each test load. Easy-Perfect! 1. What type of rifle you have? 2. What is your planned use of the rifle and ammunition- Hunting, competition, just for fun? 3. We may ask you to measure the free bore with a tool we will provide? 4. Does the rifle have a box magazine? 5. Does the rifle have a "bore rider" chamber? 6. Do you know what the chamber is in the rifle? Match, FCSA Accuracy, General, or what? 7. What scope are you going to be testing with? 8. What type of action does it have? Shellholder, single shot, special, semi-auto? 1. We will develop the "test" ammunition and mark it in a special way. 2. Ship you the ammunition with instructions for the testing protocol. 1. You will return the test targets for our evaluation. 1. You will evaluate the test targets yourself and by reading and giving us the code on the empty cases we can determine which load you felt was the best for you. ONCE YOU SELECT A GOOD PERFORMING LOAD THEN WHAT? All you have to do is tell us the code and how many loaded rounds you want and we will make them for you. either 20 or 50 round groups. PLEASE NOTE THAT WE DO NOT GIVE OUT THE LOAD DATA! a. Quality brass cases cleaned inside and out and with a high polish. b. Brass cases uniformly trimmed to length. c. Brass cases necks chamfered inside and out. d. Brass cases primer pockets are uniformed. e. Brass cases primer pocket chamfered. f. Brass case hand primered and primer set to proper depth. i. Powder charges are individually hand weighted for consistency. j. Bullets are individually hand seated for consistency. l. Load rounds have powder charges and OAL that matches the planned test rifle. j. Ballistic charts will be provided for selected sample. 2. 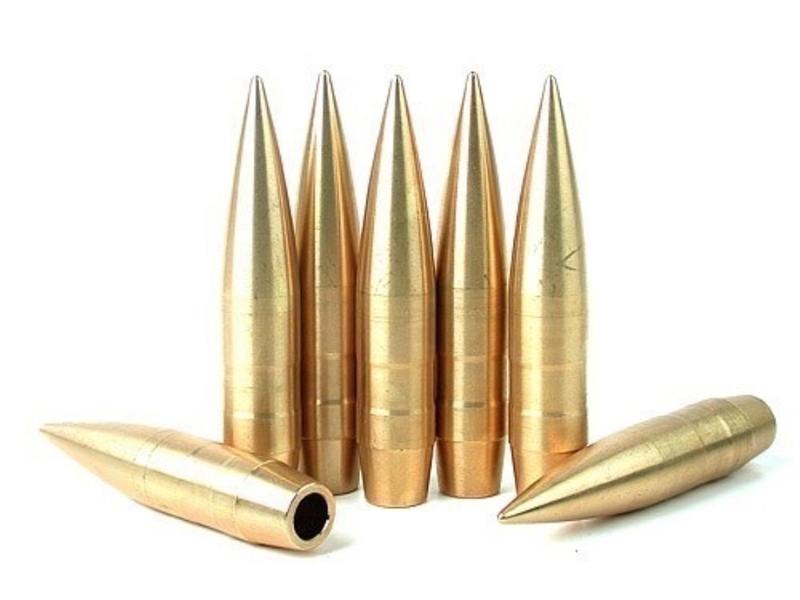 GENERAL COMPETITION USE- $116.00 for this Sample Pack of 17 loaded rounds with higher quality bullet. 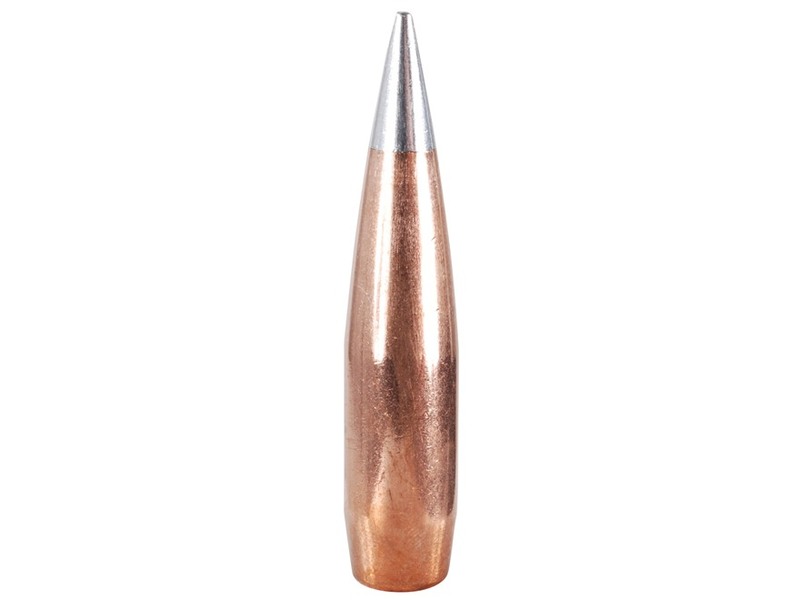 This is loaded ammunition that is intended for competition use only. It is NOT approved for hunting. 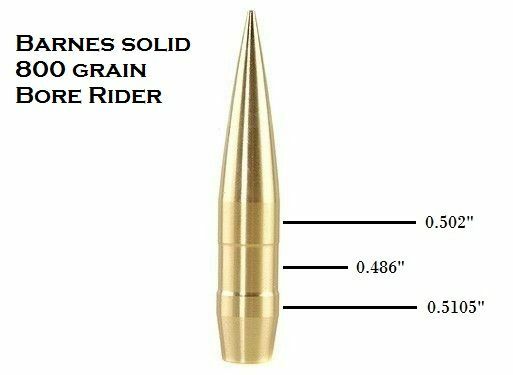 Bullets used vary and will include the Barnes Bore Rider solid bronze bullets, Ten-X bronze Bore Rider bullet, Lehigh Bore Rider Bullet, and more. h. Loaded round checked for consistent run out. 3. PROFESSIONAL COMPETITION USE- $133.00 for the Sample Pack with 17 rounds of very high quality or special bullets. b. Brass cases uniformly trimmed to lenght. n. Customer to provide O.A.L. of the loaded round using our gauge that will be sent to the customer to check. Look them over and call or Email us with any questions. 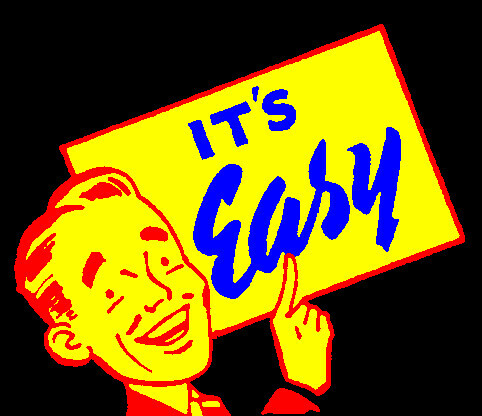 Final per round cost will be determined by which "Test Package"you select. 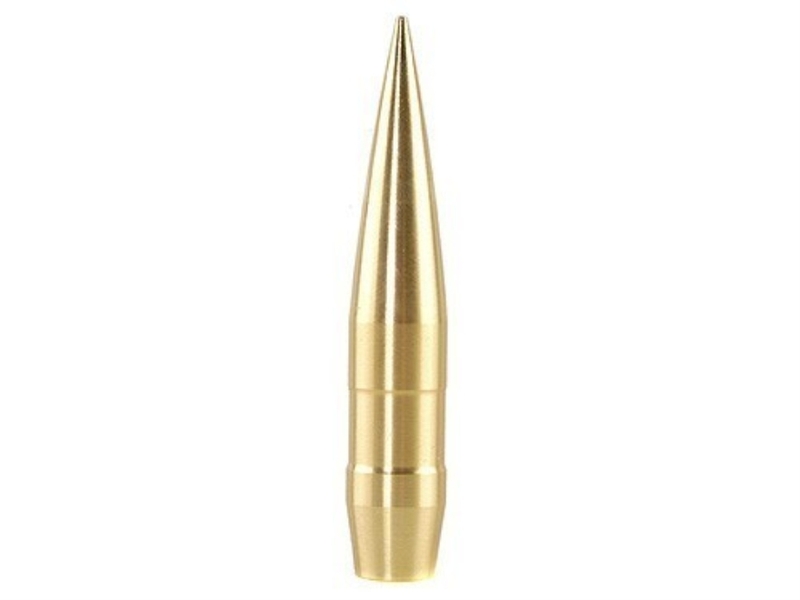 WE CAN PROVIDE TEST PACKS FOR NEARLY ALL 50 BMG RIFLES TOO!